You aren't boring, so why should your wardrobe be? Shop our rockabilly long sleeve t-shirts and get the look you've always dreamed of. Our punk rock long sleeve t-shirts have every style you need to be a bonafide greaser from the 1950's. 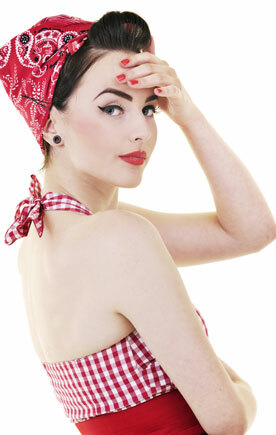 Sport these rockabilly long sleeves t-shirts for a punk rock style that can't be beat. Our shirts feature day of the dead inspired themes and high-quality illustrations. Don't be constricted by rules and order when it comes to your wardrobe. Rock the rebel look you've always dreamed of and pair with our men's rockabilly t-shirts to complete your look. 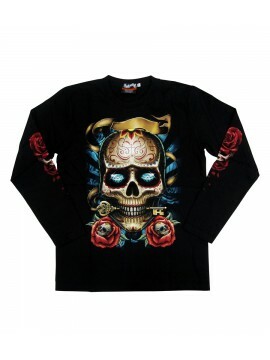 This black long sleeve shirt depicts illustrations of a chained heart on the back, skull roses on th.. 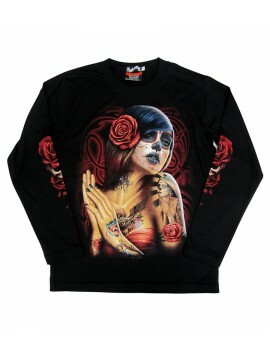 This long sleeve black shirt features artwork on the front, back, and sleeves. Front illustration de.. This black, long sleeve men's shirt features artwork on the sleeves, back, and front. Illustrations .. 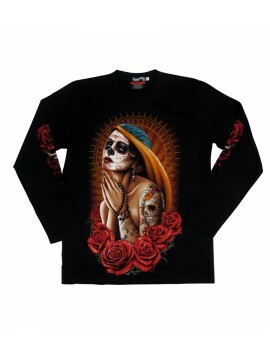 This black long sleeve men's t-shirt features rose designs down the sleeves and a sugar skull senori..